Realty Chatbot - Automatically Respond to Leads in Seconds 24/7! Respond to Leads in Seconds! Respond to buyers and sellers, even when you aren’t available! Respond to leads in seconds! Your automated real estate chatbot is standing by 24/7 to respond to leads. Lead details are emailed to you automatically. Your chatbot can understand user inputs and respond to many questions. New modules are constantly expanding and improving your chatbot’s capabilities! Realty Chatbot integrates with your Facebook Business Page, the Facebook Messenger app (over 1.2 BILLION users), and even your own website! This allows you to engage customers wherever they find you. A real estate chatbot is a computer program that helps you automatically respond to buyer and seller leads. Realty Chatbots can answer common questions, collect lead information, and even connect prospects to you when they’re ready to talk. You probably noticed that prospects are impatient these days. Like really impatient. So it’s very important to answer people’s questions as quickly as possible. Otherwise they’ll just find another agent who can help them immediately. Where Can I Deploy My Chatbot? Realty Chatbots can be deployed on your Facebook Business Page, Facebook Messenger app, and your personal website! Facebook Messenger has over a billion active users and is by far the #1 place where people are engaging with chatbots right now. We can even help you grow your bot’s presence with people in your local community or target markets! I currently use Facebook, but not Facebook Messenger. Am I wasting my time with a chatbot? No, you still need a Realty Chatbot! Even if you don’t personally use Facebook Messenger, you can generate leads from people who do! And those leads can be emailed to you automatically. 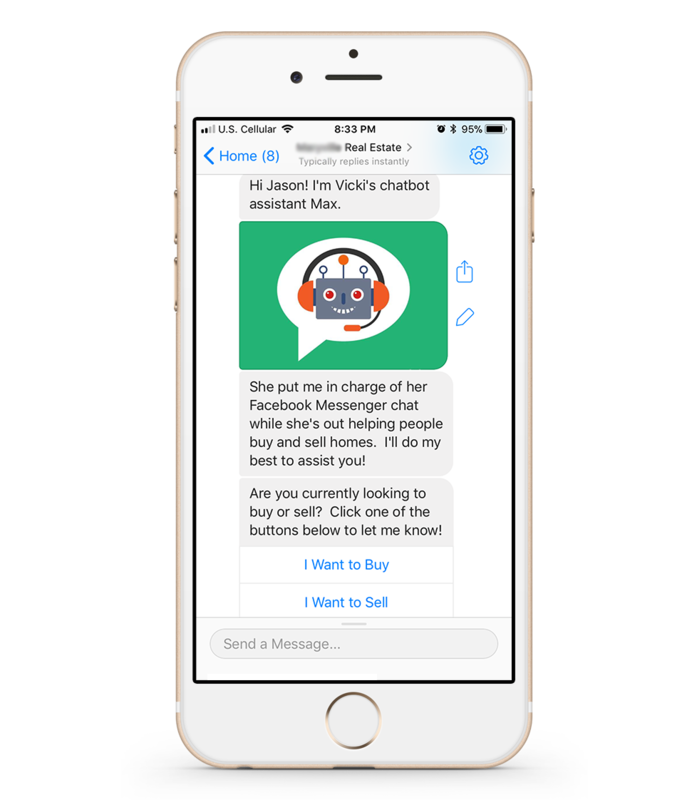 People can also engage your chatbot directly from your Facebook Business Page or personal website. So you should definitely consider adding a chatbot to your team! Can my Realty Chatbot answer questions and schedule appointments? Yes and yes! Your real estate chatbot is powered by an Artificial Intelligence (AI) algorithm that understands buyer and seller inputs. 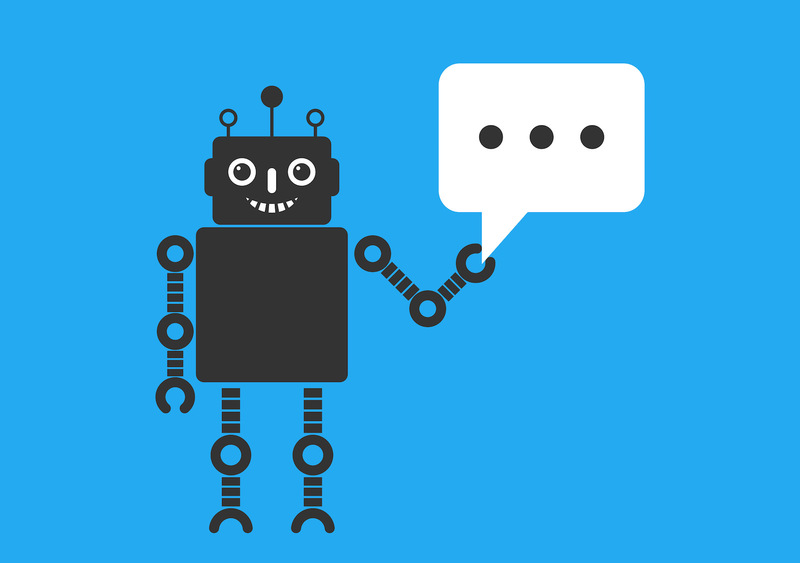 This allows your chatbot to respond to typed questions and answers. Users can also provide quick answers via handy buttons like the ones shown above! Realty Chatbots can also provide users with answers to commonly asked questions. Buyers and sellers can request showing appointments and provide property information for home valuations. Additional conversation flows include generating referrals, property management, and commercial real estate! Get the latest strategies for automating your lead-generation!